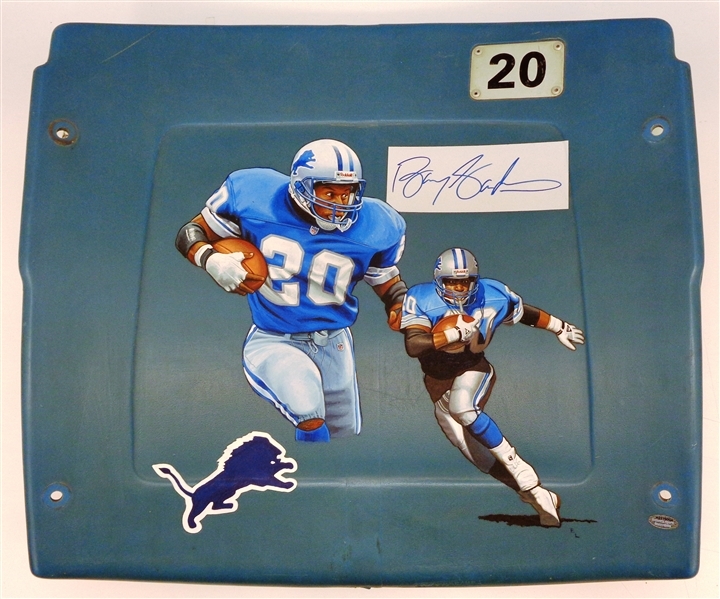 Original #20 seat back from the Detroit Lions home field. Hand painted by Ed Lapere and signed by Barry. Authenticity hologram from Schwartz Sports.